Siteform Trucks Ltd values your privacy and is dedicated to protecting your personal information and providing you with notice about what personally identifiable information we collect and how it is used, what choices you have regarding the collection, use and distribution of that information, the security procedures we implement to protect that information and what access you may have to correct any inaccuracies in the information we have collected from you. experience on our Websites, provide content that we think you might be interested in, perform general improvements to the Websites, and display the content according to your preferences. Such demographic information may be shared with partners, market researchers and other third parties on an aggregate, non-personally identifiable basis. No personally identifiable information will be linked to such aggregated demographic information that is shared with third parties. features work better. Cookies are text files which are commonly deposited by websites on a user's hard drive when the user visits a website. The file identifies a user's computer and can record the user's preferences and other data about the user's website visit. We do not extract information about individual users during this process. Your web browser may enable you to disable cookies, but please note that certain services may not function correctly without it and your experience on our Websites may be hindered. 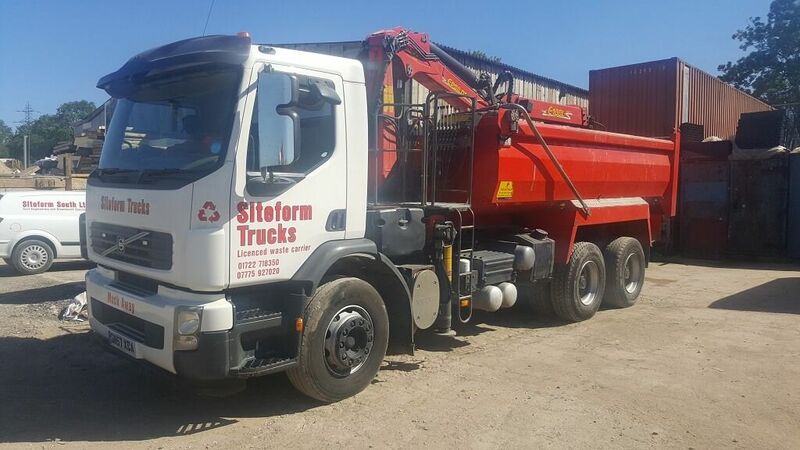 an account with Siteform Trucks Ltd, or by otherwise utilising any Siteform Trucks Ltd products or services, you hereby consent to any such call recording and/or monitoring. Electronic Mail: From time to time, Siteform Trucks Ltd may use your personal information to contact you by electronic mail concerning our services. These communications are often intended to inform you of important information regarding your account, or about general services provided by Siteform Trucks Ltd and/or its affiliates. If you do not want to receive email from us or our affiliates regarding new services, please click the "unsubscribe" link which is included at the bottom of any email you receive from us. However, in order to fulfil our service obligations to you, we will continue to send you emails regarding your account administration, as well as any necessary information, such as renewal notices and instructions. By providing us with your email address you consent to receiving communications from us electronically and all notices, disclosures and other communications that we provide to you electronically satisfy any legal requirement that such communications be in writing. you have expressed an interest, for example, if you have contacted customer service or made an enquiry. We will also provide you with service and account related announcements. For instance, if the delivery of a service or product is delayed we might send you an email, or other message, or if there is some service issue with something you might have ordered. Generally, you may not opt-out of these communications, which are not promotional in nature. If you do not wish to receive them, you have the option to cancel your services with us. purposes. Sites Other Than Siteform Trucks Ltd, Siteform Trucks Ltd has no control over and is not responsible for the privacy policies or information gathering practices of other websites, including those to which we may link and those which may link to us. We strongly recommend that you review the privacy policies of every online service you use before submitting any personal information and direct any concerns to the site administrator of that website. constraints related to the security, integrity and operation of the Sites. If you have any questions about how long we will keep your specific data, please contact us. 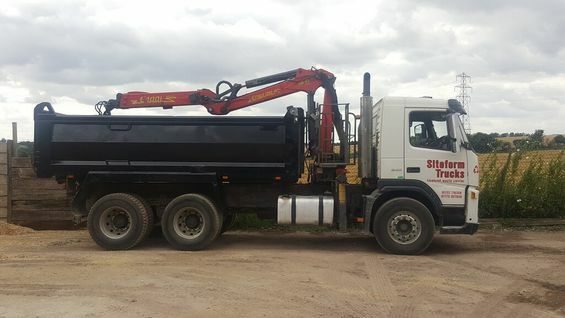 When only the best is good enough, look no further than Siteform Trucks Ltd, based in Salisbury. We offer a great range of services, all of which are designed to benefit you and your project. The aggregates and recycled products that we offer are some of the best around, and we work hard to keep offering the very best to our customers. No matter what you need, we have the material for you. Call us, in Salisbury, Wiltshire, for more information on our muck away and building waste removal services. 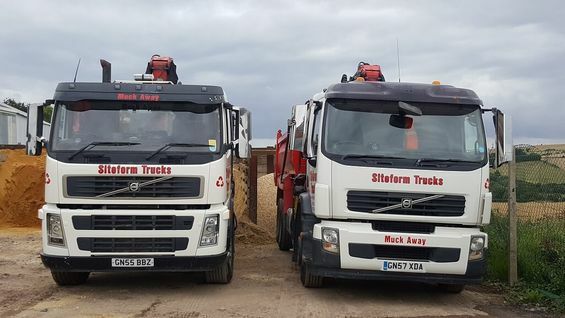 Based in Salisbury, Wiltshire, Siteform Trucks Ltd provides outstanding muck away services to all in the local area. We’re experts in building waste removal, taking it to our licensed waste centre to be disposed of properly. Our team is vastly experienced, and we use cost-effective, efficient grab trucks to ensure that our quality is high at all times. We’re registered with the Road Haulage Association (RHA), and this further underlines our quality. Call us now for your free quotation.